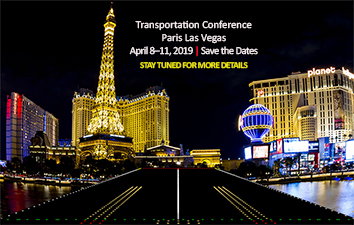 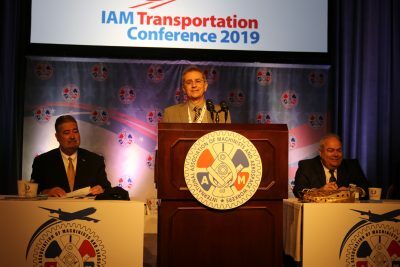 Las Vegas, NV – Since 2006, Carlos DaCosta, as IAM Canada’s Airline Coordinator, has delivered many reports to the IAM Transportation Conferences all over North America. 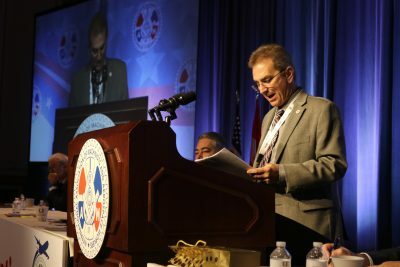 On Wednesday April 10th, he gave his last, announcing his retirement this summer. 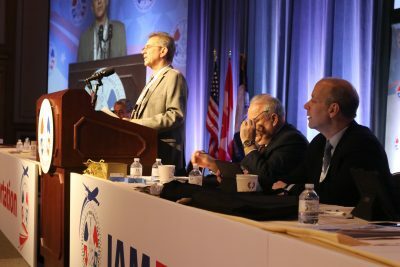 He has been an IAM member for 45 years, first as an Air Canada aviation mechanic, then as a General Chairperson of IAM Transportation District Lodge 140 and for the last 13 years as Canadian Airline Coordinator.